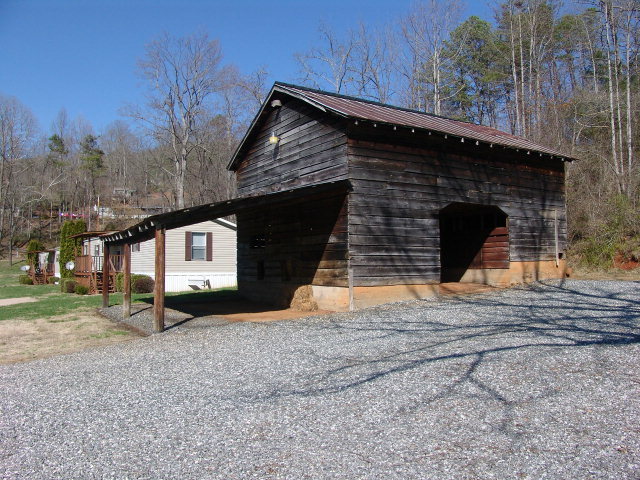 Tucked away in the Western NC Mountains is a small town called Sylva NC. 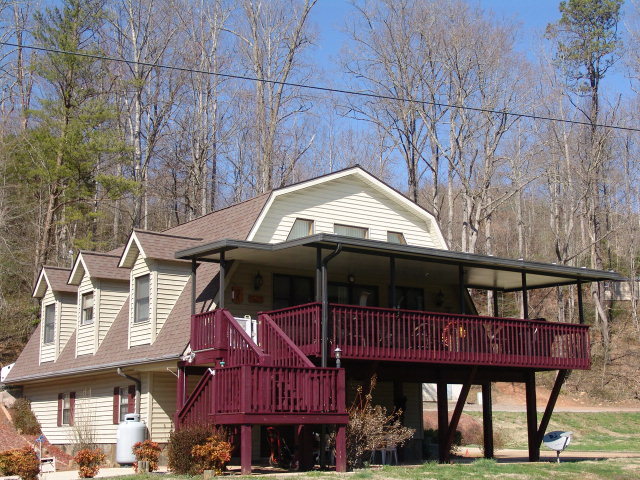 Located just about 12 miles due North of Franklin NC, it is an easily accessible town graced with a lot of mountain charm, streams, mountain homes and commercial potential. 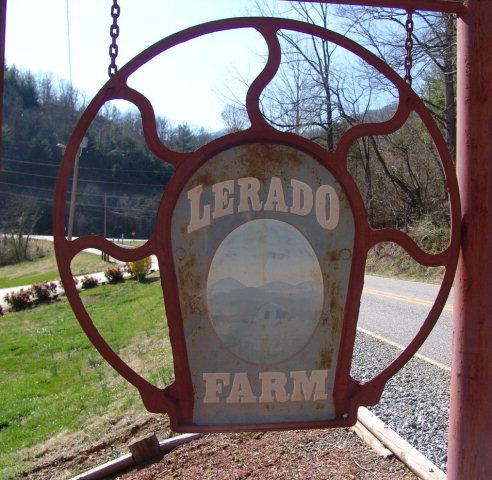 One such property is Lerado Farm located on the southern boundary line of Sylva NC in Jackson County NC. 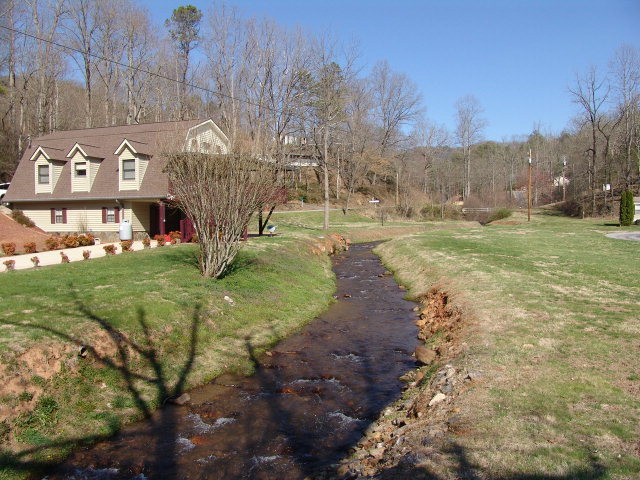 Lerado Farm is a beautiful 5.82 acre tract of land that is surrounded on two sides by a large rushing creek complete with native mountain trout! This is a commercial venture that is comprised of 9 single wide mobile homes and a 2 bedroom, 2 bath home complete with an unfinished basement for storage and possible additional income center when "finished". 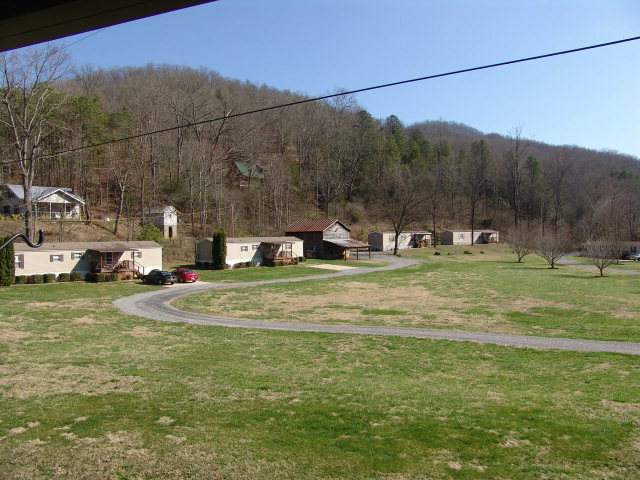 Of the nine mobile homes, 5 are located on the waterfront side, however, all park occupants have access to the creek for fishing etc! 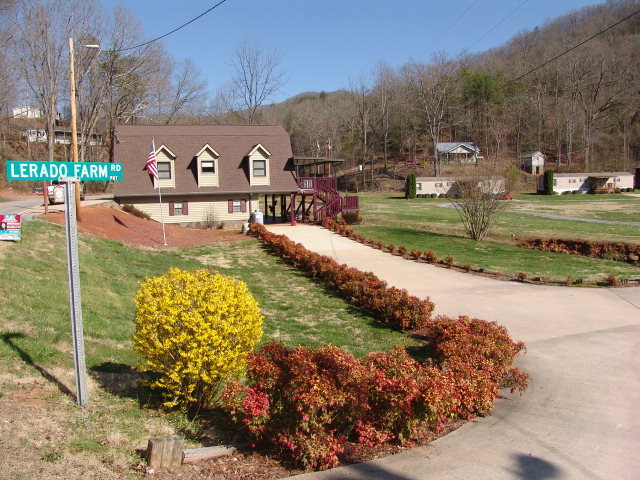 This park is unique in that the Owner owns all of the mobile homes, so consequently, there are no independent owners in the park. This arrangement allows complete control over the quality, cleanliness, and maintenance of the park. Annual GROSS income not including expenses from the 9 rental mobile homes is $70,000 - $75,000, the mobiles rent anywhere from $600 - $675 monthly and are rented on a year round basis. The 2 bedroom home is occupied by the owner, but could be rented out for $850 per month which would then push the annual figure closer to $77K-$80K per year. In addition, the basement portion of the home could be "FINISHED" and would then be an additional "income center". ***** We have had the opportunity and pleasure to use John Becker twice as our Realtor, one for a purchase and once for a sale. Both times he was professional, helpful and extremely hard working. You can't do any better in the world of real estate. Whether the budget is small or large you are treated with respect and he will do whatever it takes to please you.